February 2, 2019, Deputy Chairman of the Chamber of Commerce and Industry of the Republic of Tajikistan Manzura Rustamova met with the delegation of the German Agency for International Cooperation GIZ: the Component Manager Trade Facilitation Program in Central Asia Asel Uzagalieva, the Consultant on the implementation of the Trade Facilitation Agreement Bergil Viola and Negmatova Zirina – Consultant on Trade Facilitation of the Tajikistan Office of the German Agency for International Cooperation. The main subject of the meeting was the discussion of the Trade Facilitation Agreement implementation in the Republic of Tajikistan. The Deputy Chairman of the CCI RT informed the meeting participants about the Chamber activity related to the implementation of this Agreement. In particular, she noted the importance of the Coordination Committee on Trade Facilitation established by the Decision of the Government of the Republic of Tajikistan in December, 2016. 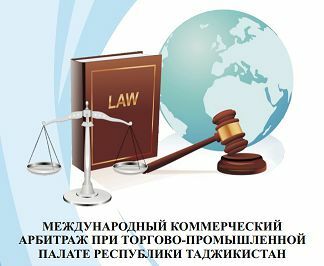 The Deputy Chairman of the CCI RT is also a member of this Committee and the Chamber of Commerce and Industry of the Republic of Tajikistan takes an active part in all meetings by submitting proposals based on analyzes conducted and on the views of the private sector of the Republic of Tajikistan. 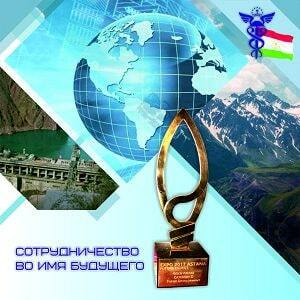 She also noted that a permanent working group consisting of specialists from ministries and departments of the Republic of Tajikistan, including a representative of the CCI RT, has been established under the Ministry of Economic Development and Trade of the Republic of Tajikistan. In addition, the Deputy Chairman provided full information on the work with the Chamber members related to their support particularly in addressing the issues of increasing the export capacity of the Republic of Tajikistan, and providing information support on normative and legal acts relating to foreign economic activity and the private sector. 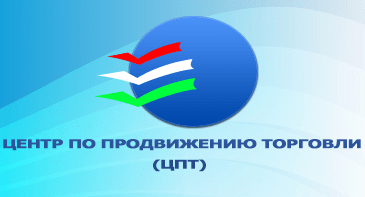 It was emphasized that in 2016 in cooperation with the International Trade Center, the National Service Bureau was created at the CCI RT to search and disseminate information about foreign trade, obtain data on export requirements in sales markets and respond to specific requests from Tajik exporters through a network of National Information Centers and other means. The main objective of the Service Bureau is to assist domestic exporters in obtaining information on technical regulations, standards, conformity assessment procedures, sanitary and phytosanitary measures in foreign markets and promoting the export potential of goods in demand on the international market, etc. As a part of the implementation of these tasks, the CCI RT regularly organizes trainings, round tables and other activities in the field of export policy. “In order to fulfill the tasks set in the regular Message of the Leader of the Nation – the President of the Republic of Tajikistan Emomali Rakhmon, as well as the implementation of the medium-term program for the support of export potential and import substitution, we consider it appropriate to continue this activity and suggest to consider the issue, taking into account the existing potential and practice of the CCI RT, creating a Single Information Center at the CCI RT, which will contribute to the export potential increase and fully correspond to the tasks specified in the Law “On the Chamber of Commerce and Industry of the Republic of Tajikistan” and the Charter of the CCI RT”, she summarised.